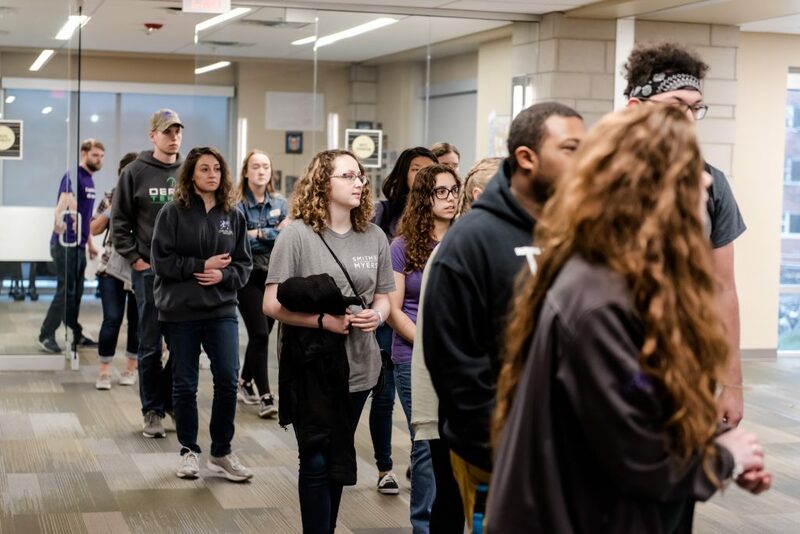 On Monday, March 26, Housing and Dining Services’ Social Justice Alliance hosted the Tunnel of Awareness. 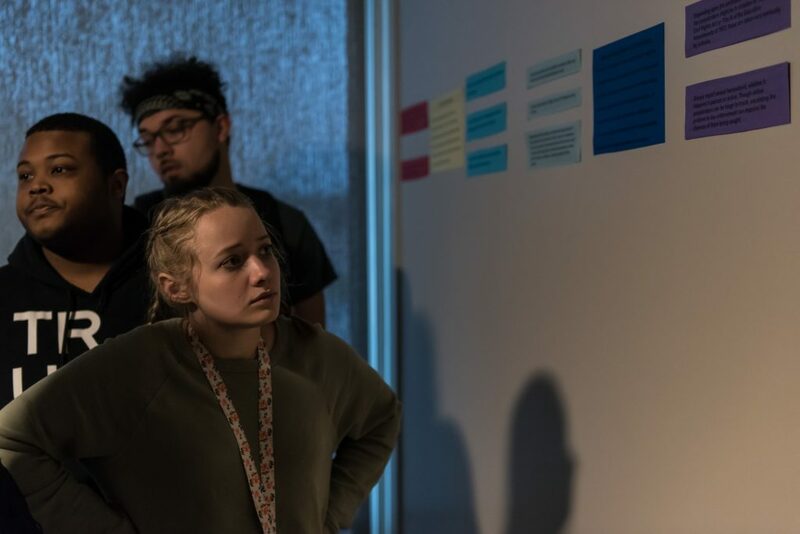 The Tunnel informed the students attending by depicting stories of various marginalized groups across the United States. 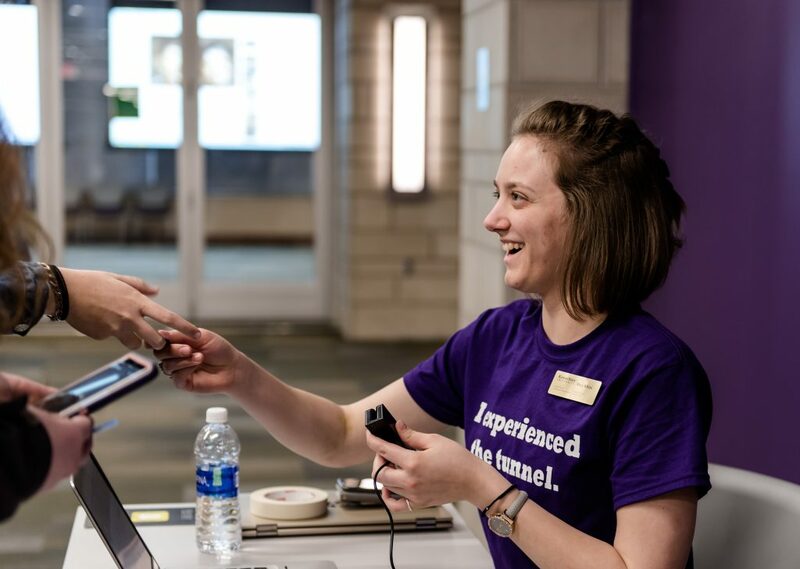 When students arrived at the Kramer Dining Center, they traveled to the second floor to swipe their Wildcat ID card so they could participate. 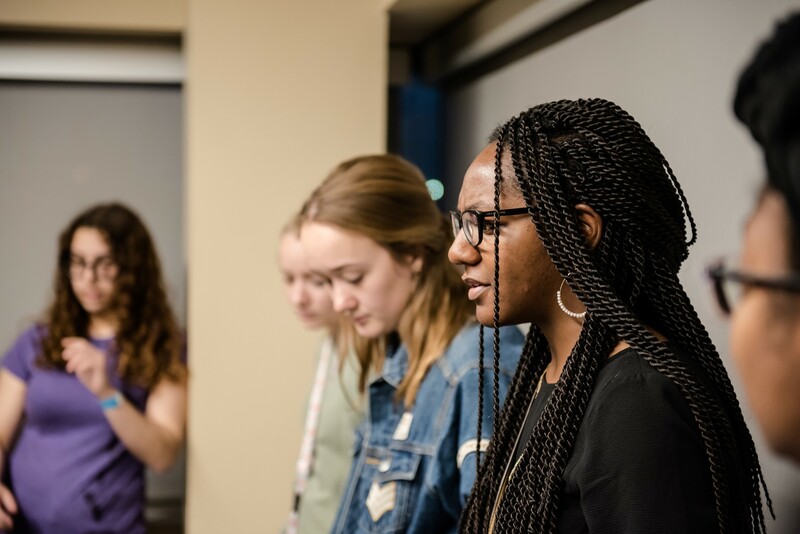 Mary White, junior in journalism and mass communications, is part of the Social Justice Alliance and said the alliance means a lot to her because she grew up in a small town where she was isolated. 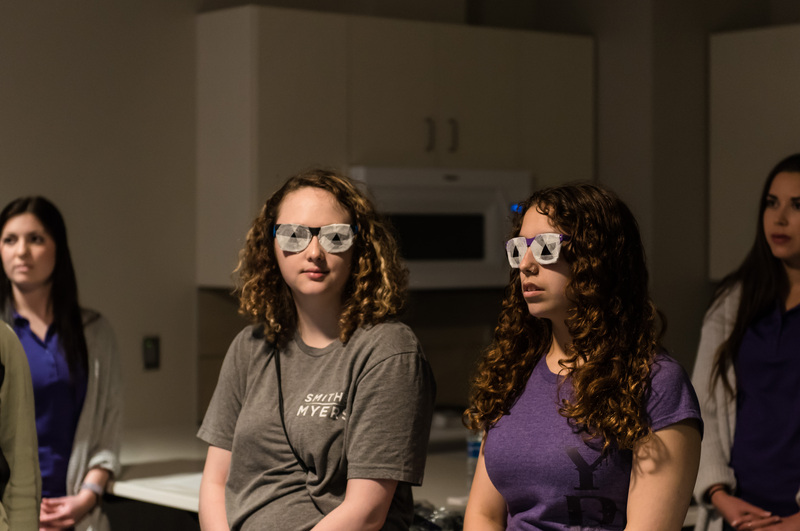 White said the alliance has given her the opportunity to see more of the world. 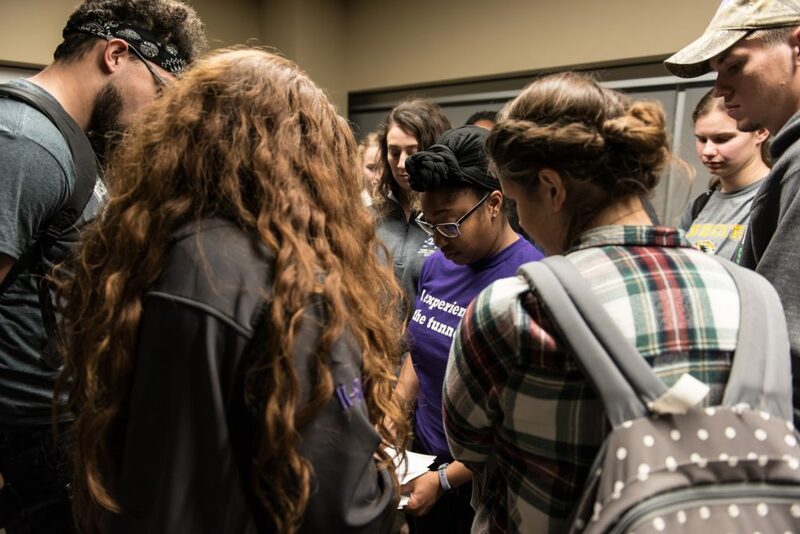 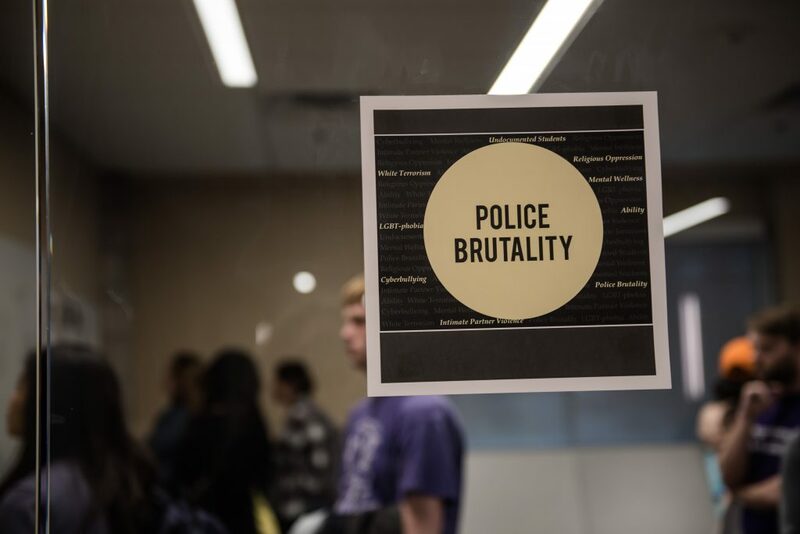 Students and faculty then led those in attendance through a series of different rooms to inform them about different situations that marginalized groups go through on a daily basis. 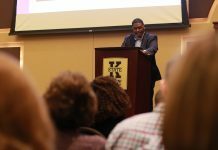 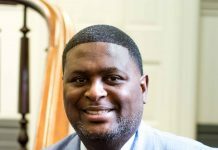 The topics covered included mental wellness, sexual assault, police brutality, undocumented students, white terrorism, cyberbullying, religious oppression, ability discrimination and transgender microaggressions. 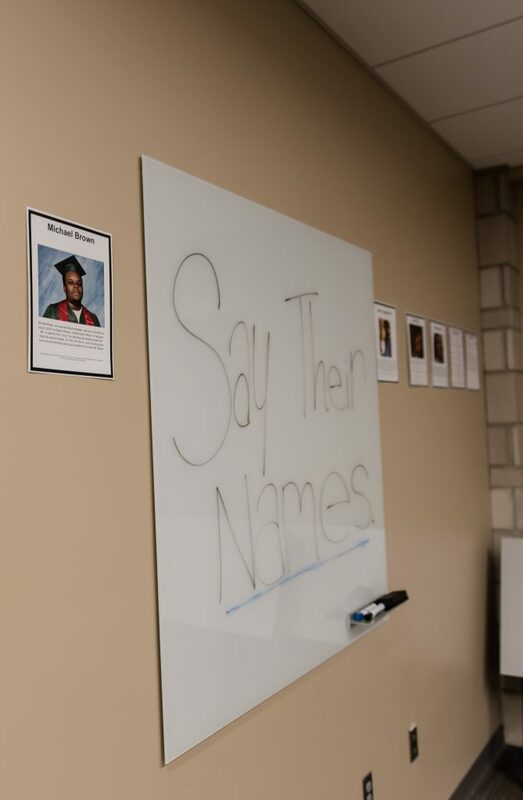 As the attending students traveled through the different rooms, they came into contact with the stories of students, coming face to face with the photographs of oppressed individuals and the realities they face. 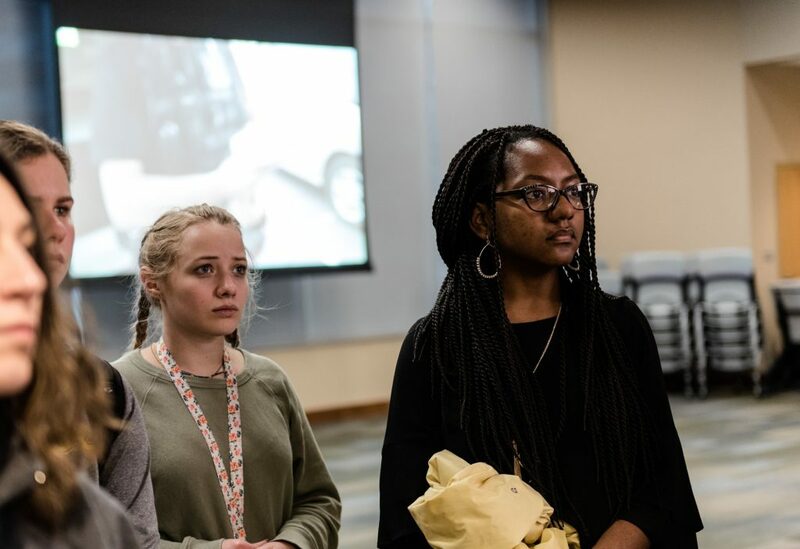 Students read the stories of undocumented students within the United States and heard their words as a slideshow of the students’ family photos played on a projector. 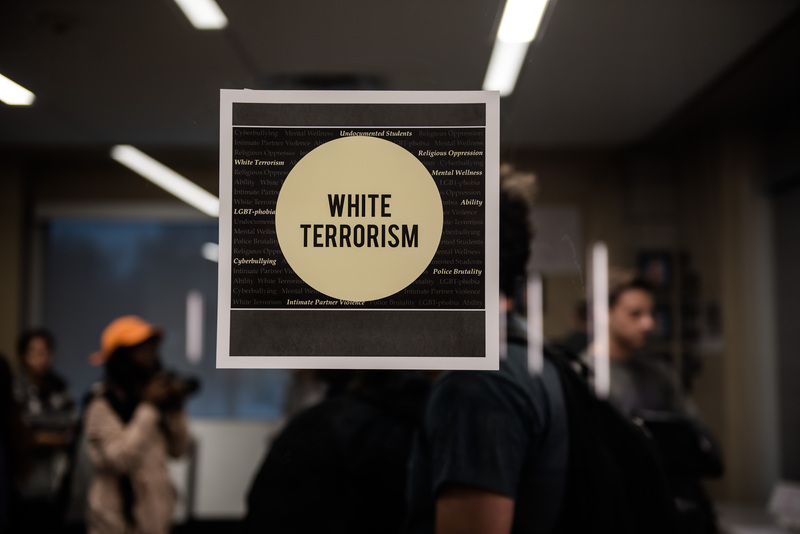 One topic was White Terrorism, which covered how individuals within the U.S. contribute to terrorism domestically. 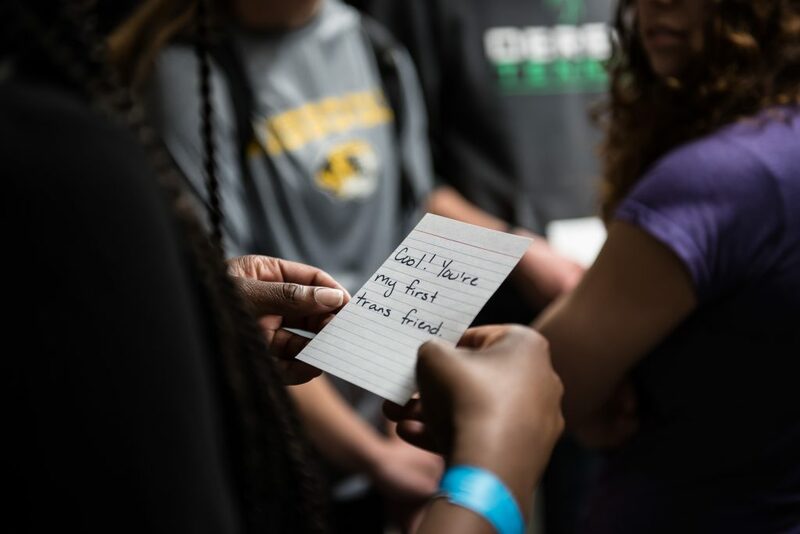 Students also came face-to-face with stories of individuals hurt by cyberbullying. 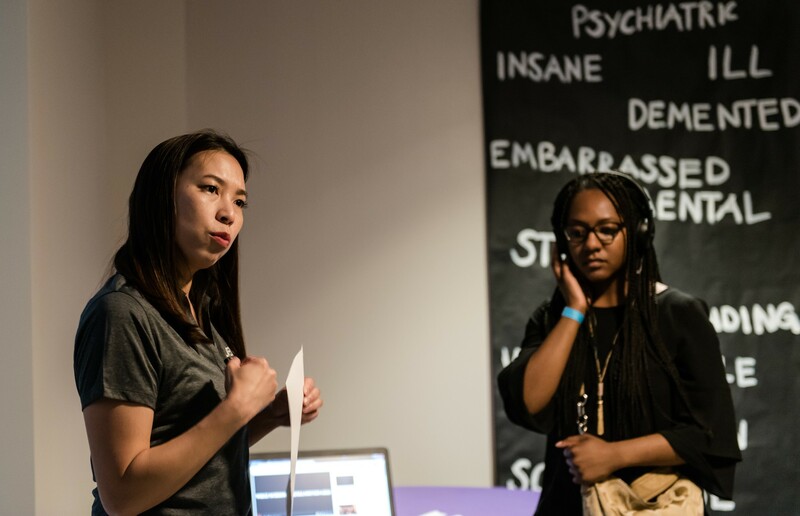 Junney Yuen, health educator at Lafene Health Center, said societies move forward by putting emphasis on mental illness in the way physical health is prioritized. 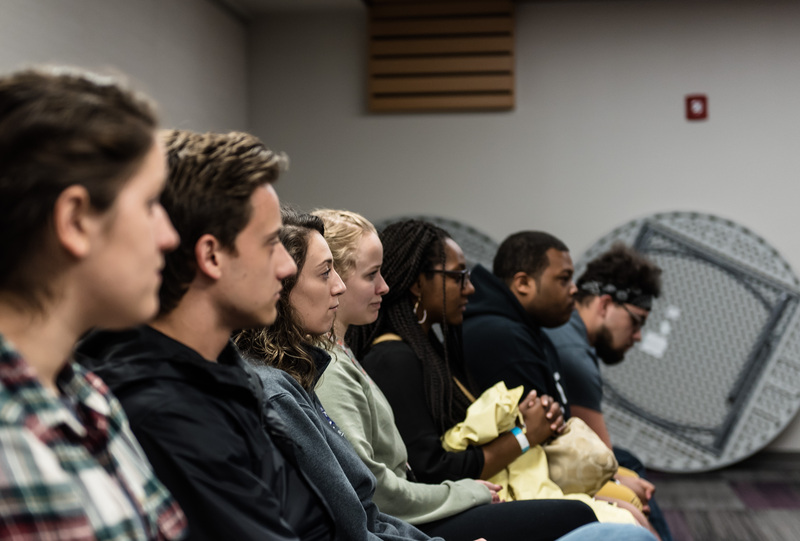 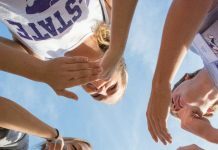 As they traveled together through the rooms, the expressions on students’ faces changed as they learned the stories and truths of the what the Tunnel of Awareness taught them.